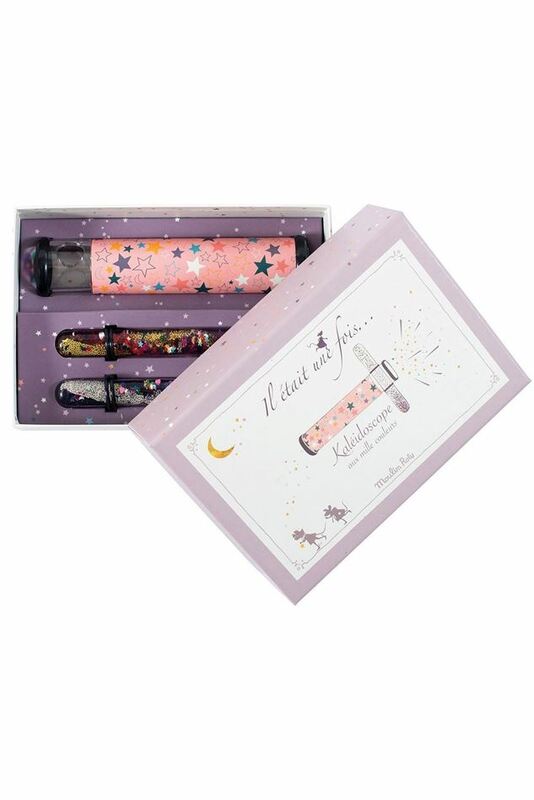 To entertain children, this set includes a kaleidoscope with 2 sliding tubes filled with glitters that creates millions of dazzling patterns. This toy will entertain children and adults! Displayed in a gorgeous mauve coloured gift box adorned with stars! Dimensions: 13,5 x 16 cm.